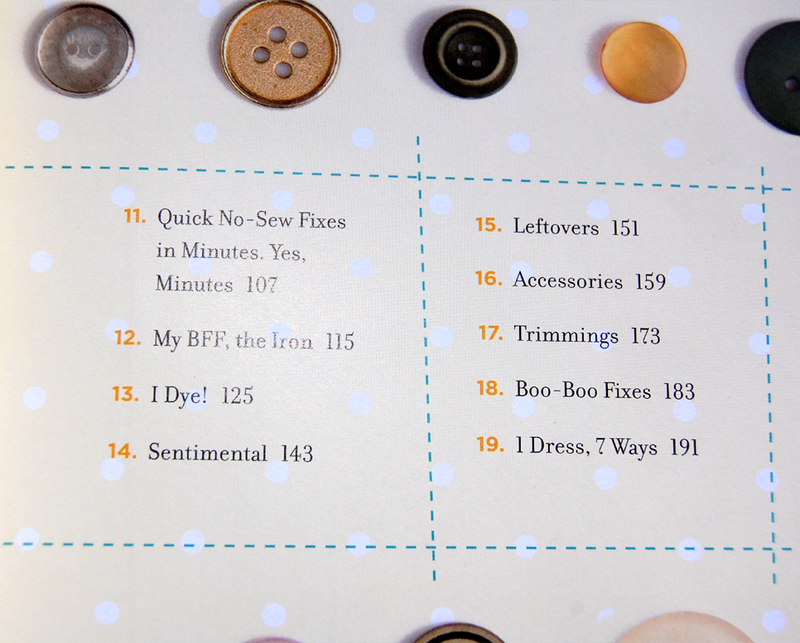 If you’re a long time lover of DIY, fashion and craft blogs…there’s a really good chance you’ve known all about New Dress a Day. 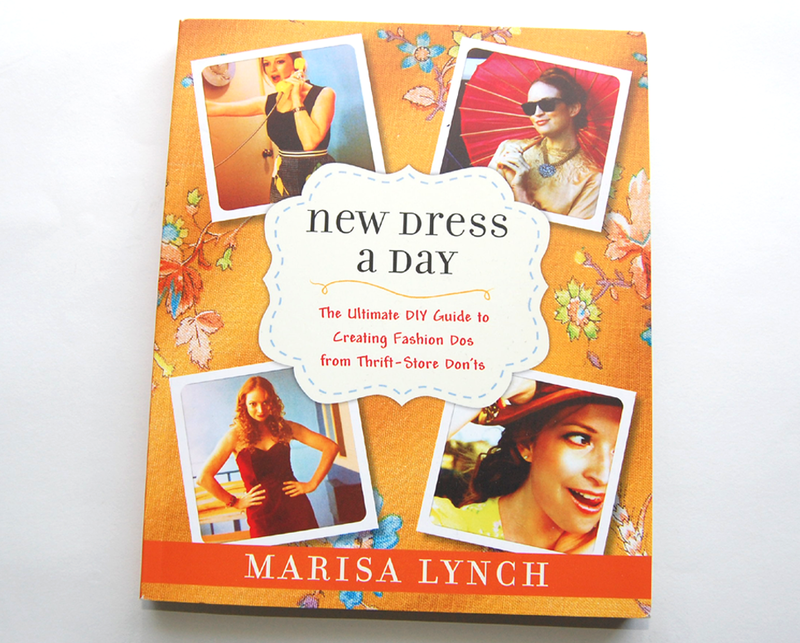 Marisa Lynch takes an inexpensive, thrifted dress (usually around $1, and usually very frumpy and not-so-cute) and transforms it to something current and fashionable. Her ideas are simple, yet clever – really showing how thinking outside of the box and just altering a small part of something can change it completely. Even though the book is titled New Dress a Day, there are accessory projects (such as headbands and purses) as well. Refashion at its best. It’s pretty easy to tell that Marisa has a very fun personality. 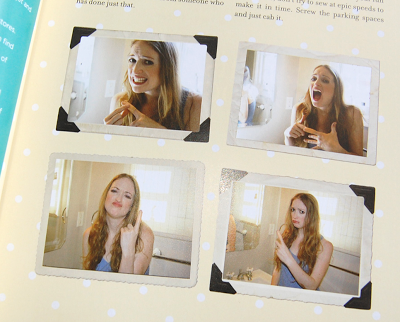 Her photos are anything but serious, and instead are spunky and witty. These photos in the section discussing basics and safety totally cracked me up – that last one is definitely me when I have a clumsy moment! This is a perfect example of Marisa’s easy yet smart ideas. 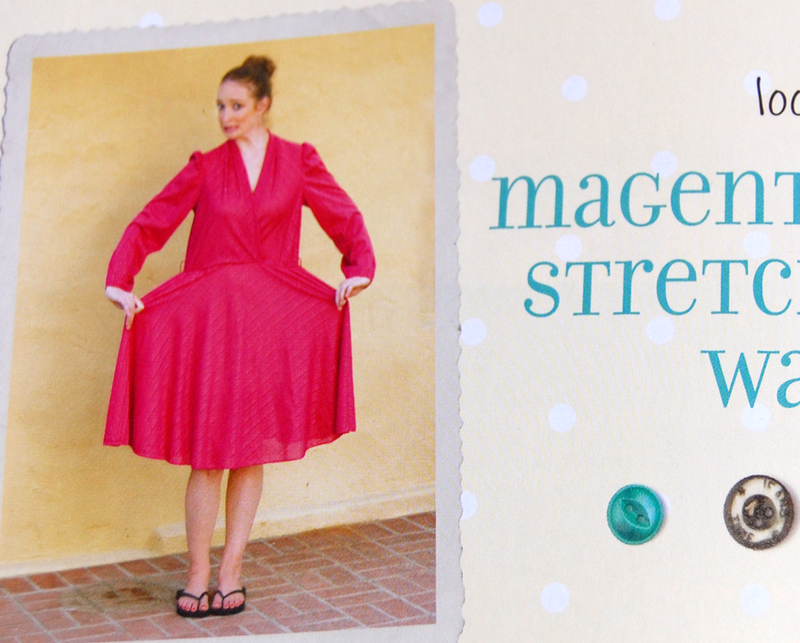 Here, she took a thrifted over sized dress and simply twisted the straps…”cinch and pinch” as she says in the book. 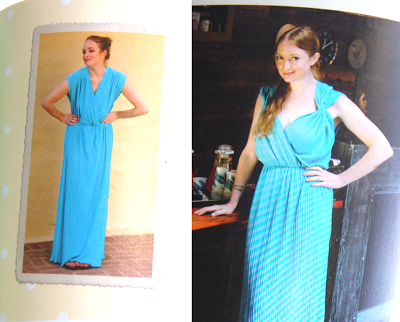 In just a few steps, the dress is completely transformed. Such an “ah hah!” moment. 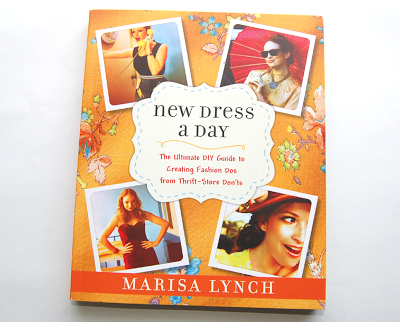 Of course, because Marisa uses thrifted dresses, you won’t be able to find the EXACT piece of garment that she used. However, her instructions are clear enough so that you can work with what you do find. 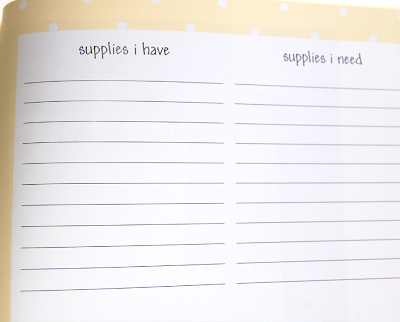 The last few pages include space to write your own notes, such as the supplies lists above. 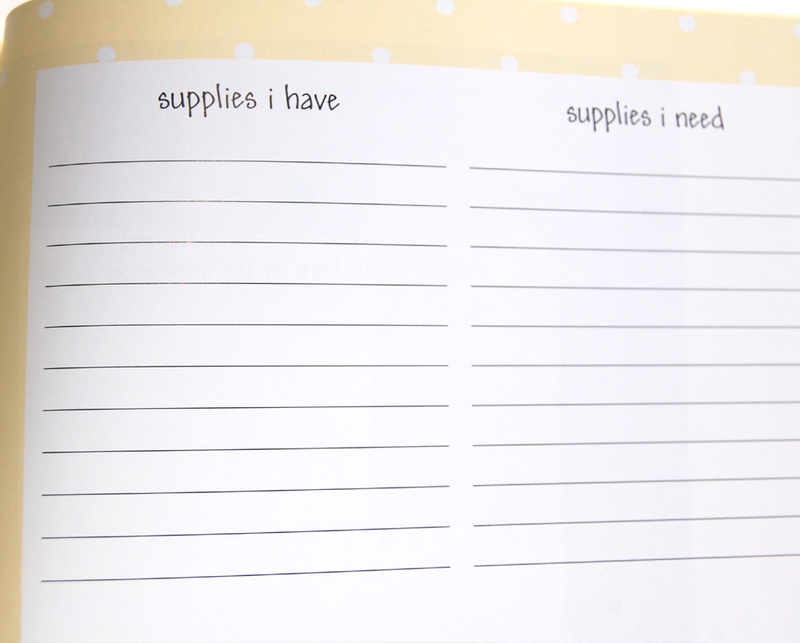 Goodness knows I’m always writing down supplies that I need…super useful!